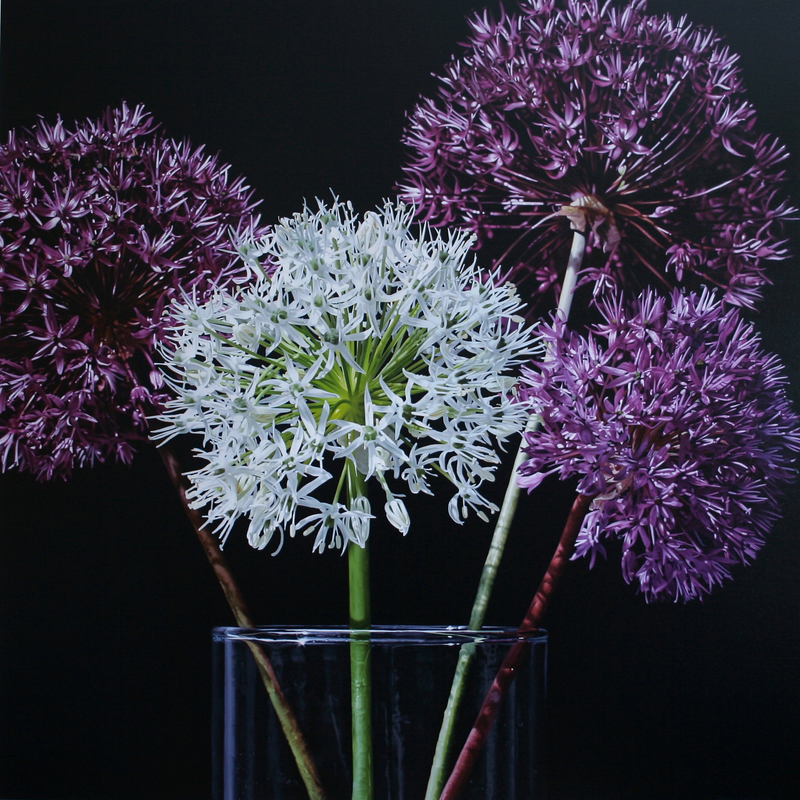 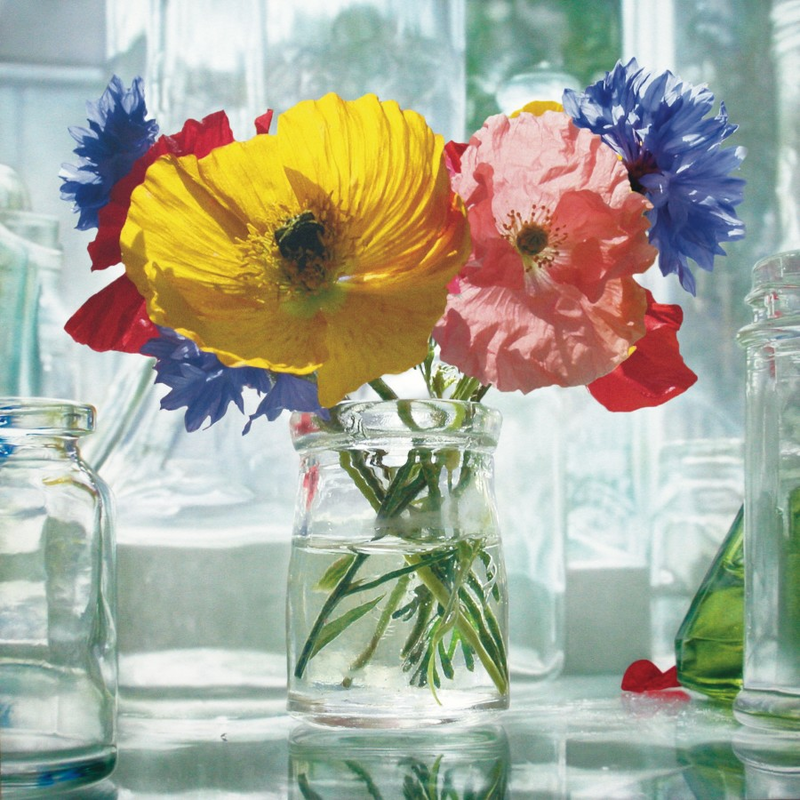 In celebration of the flower and to coincide with Chelsea Flower Show nearby, from 20th to 27th May 2013, Plus One Gallery will be showing the works of contemporary hyperrealist painters; Ben Schonzeit, Glen Semple and Sarah Sibley; each of whom endeavour to invigorate the genre of still life flower painting by challenging notions of tradition. 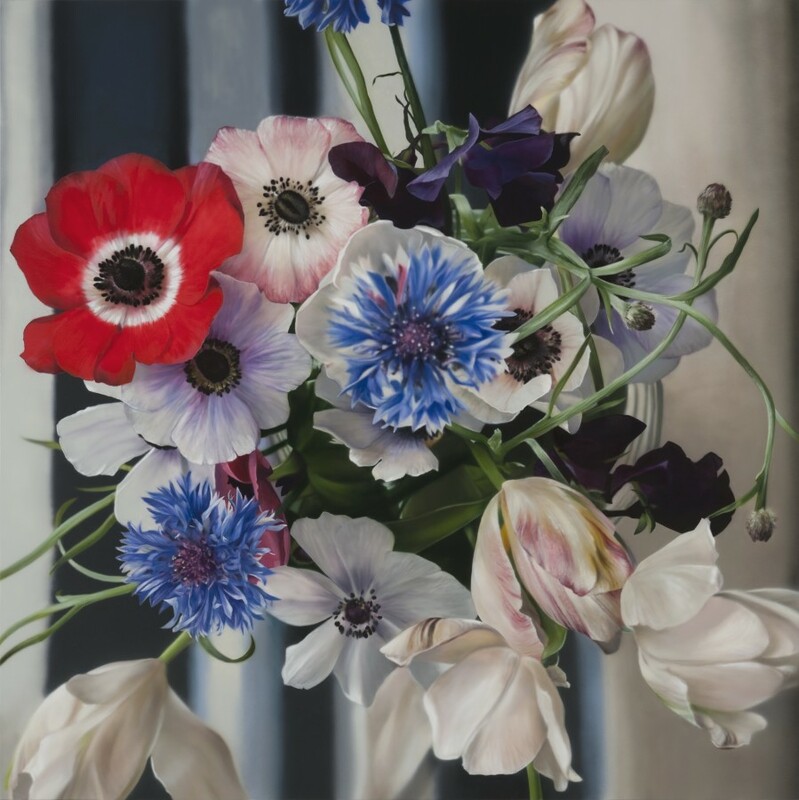 The presence of flowers and floral motifs in art has always emphasised the earthly splendour that exists alongside man; the notion that in such a competitive world, the strength of delicacy and grace can prevail. 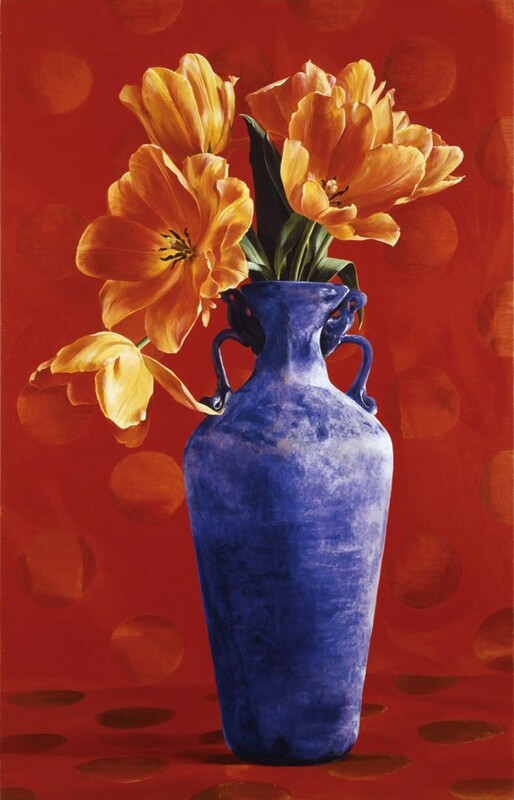 For centuries, artists have been seduced by the flower’s ability to communicate intangible themes of the human condition; whether that is through their varying vibrant colour and appearance or the idea that the life of the flower is just as transient as that of a person. 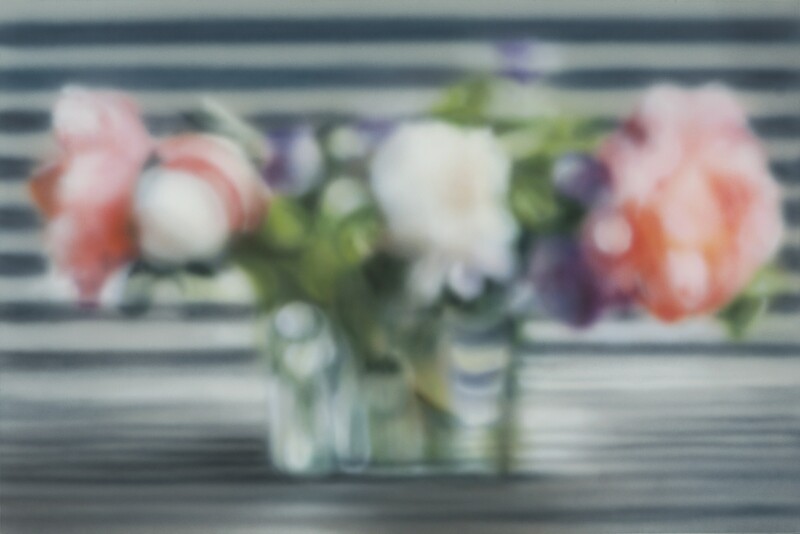 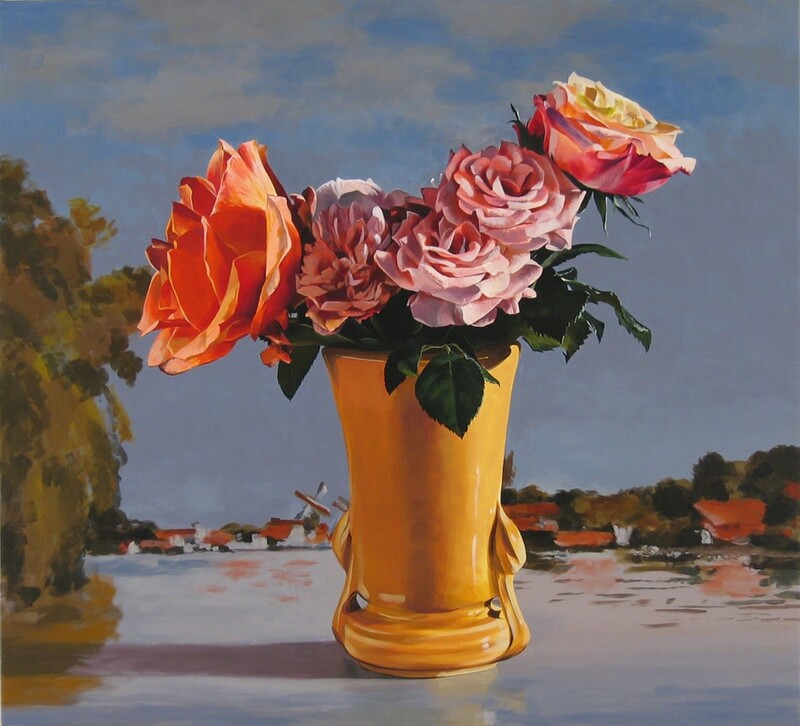 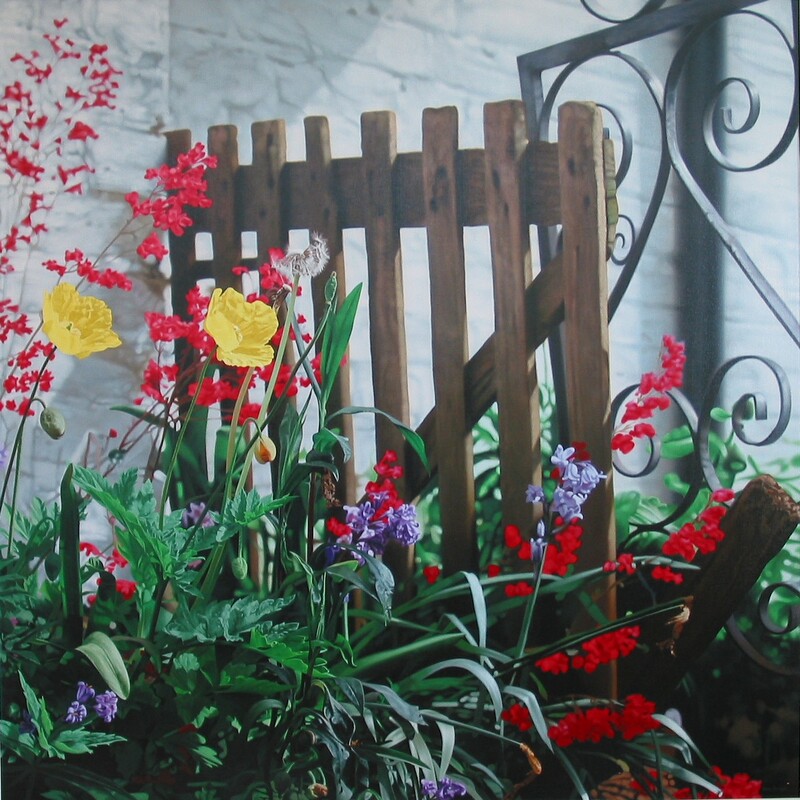 Schonzeit is recognised for his exploration into our way of seeing; he challenges the viewer’s perception by producing blurred visions of sumptuous flower arrangements set against vivid backgrounds as seen in contrast with the surrealist edge his high focus flower paintings take. 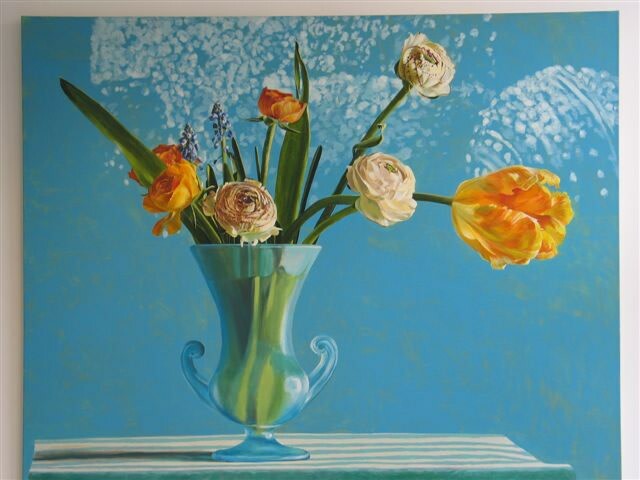 Semple celebrates the beauty of ‘the everyday’ with such vibrancy that his paintings seem to transcend the boundaries of our observation, a result of his focus on hidden detail. 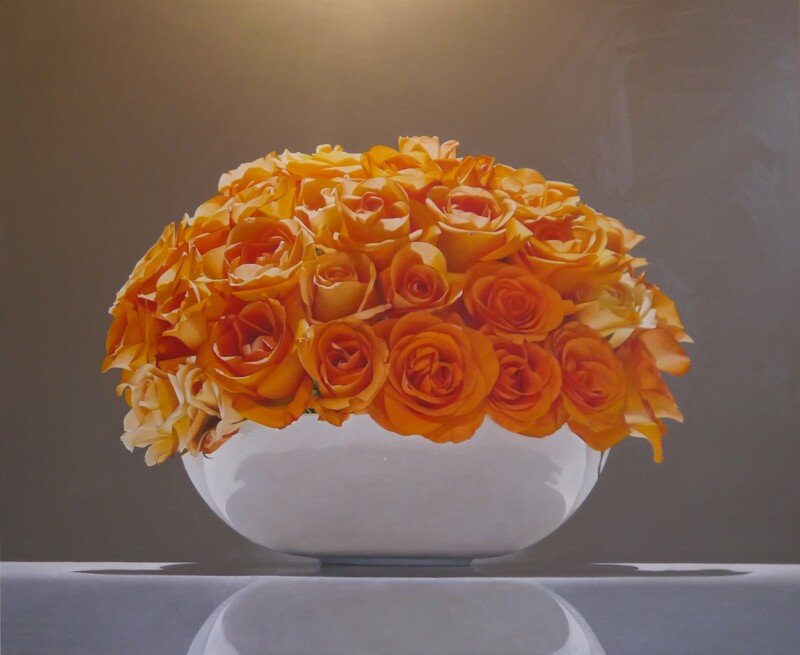 Sibley’s amplified renditions of traditional roses monumentalise the simplicity and sheer perfection of nature and demonstrate our unchanging appreciation for the flower and its ability to elevate any surrounding.